Chicago (AFP) - Republicans in Wisconsin sought Tuesday to curb the authority of the US state's newly-elected, incoming Democratic governor, in a move critics decried as a blatant power grab. 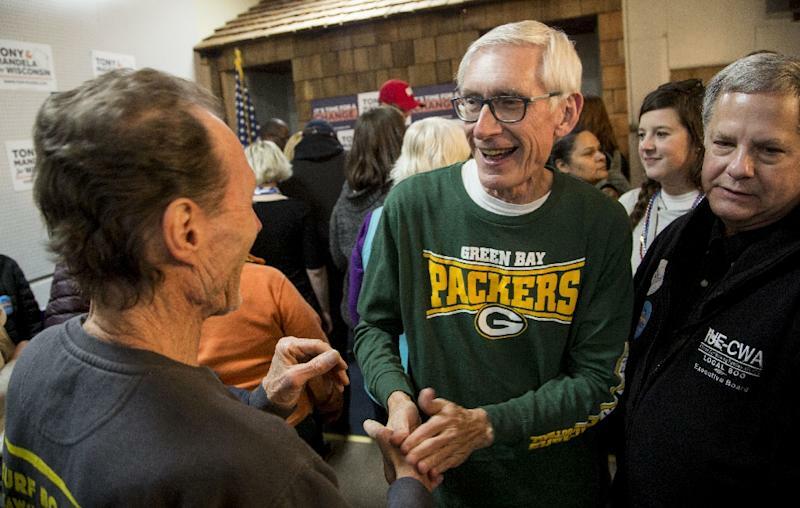 Democrat Tony Evers defeated incumbent governor Scott Walker in the November midterm elections -- a stinging loss for the GOP in one of the key swing states that handed the presidency to Donald Trump. Republicans, who control the majority in the state legislature, were poised to vote by midnight on bills that would, among other things, curtail the incoming governor's ability to set certain rules and policies after he is sworn into office in January. They also sought to reset the 2020 primary election date and reduce the length of early voting -- efforts seen as helpful to future Republican candidates. Democrats and Democrat-aligned groups cried foul, and embarked on a furious last-minute campaign to influence enough state lawmakers to doom the proposals in what were expected to be close votes. Critics said the moves were part of a concerted effort by Republicans in several states, where they control the legislature but have lost executive offices, to deny power to incoming Democrats. The political maneuvering could have profound effects on issues such as the fate of the Affordable Care Act. Eric Holder, who was attorney general in President Barack Obama's administration and has since been championing efforts to redraw electoral maps, was among those expressing outrage. "Citizens in Wisconsin, Ohio, Michigan and North Carolina must make their voices heard. Don't let our democracy be stolen," Holder tweeted. "Stop these legislatures from taking these shameful actions. They will apparently do anything to keep power -- including ignoring the people." Governor Walker signaled he was likely to sign the measures before he leaves office, if they are passed during the lame-duck session. Republican lawmakers defended the measures, saying they were intended to codify into law a more active role in the state for the GOP-led legislature. "We're going to make sure that the powers of each branch are as equal as they can be," Republican state representative Robin Vos told a news conference. "We do not believe that any one individual should have the opportunity to come in and with a stroke of the pen eliminate laws that have been passed by our legislature and found constitutional by our courts." Crowds of protesters descended on the state capitol in Madison, gathering outside in freezing weather and shouting "shame" at lawmakers inside. Protesters also booed Walker during a Christmas tree lighting ceremony in the capitol rotunda. Governor-elect Evers said a court challenge was likely if the bills become law. "We will actively be looking at either to litigate or do whatever else in our power to make sure the people of Wisconsin are represented at the table," said Evers, according to the Milwaukee Journal Sentinel.